After losing her mother at a young age, Luna Lovegood gained the ability to see Thestrals, unlike most people. This lead Harry - shocked at his first sight of Thestrals - to bond with her. 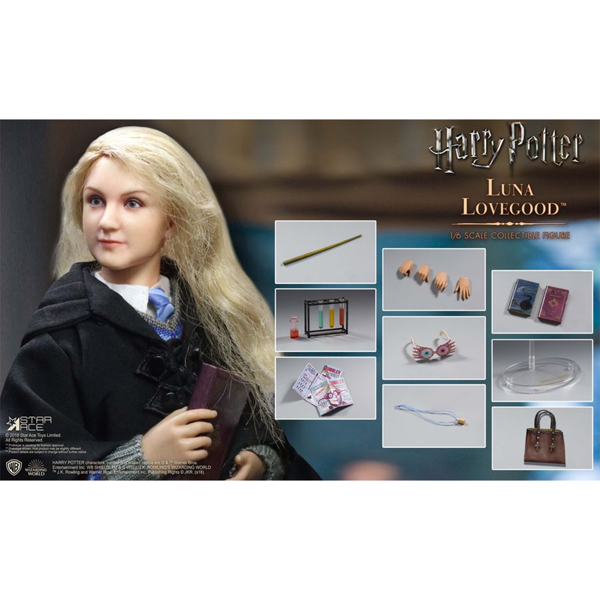 She was often teased at Hogwarts for being quirky or off-beat - the spectre specs and cork necklace might have been a little off-putting - but she rarely let that bother her. Though she had few friends, she gave nothing less than fiercely loyal and supportive friendship. 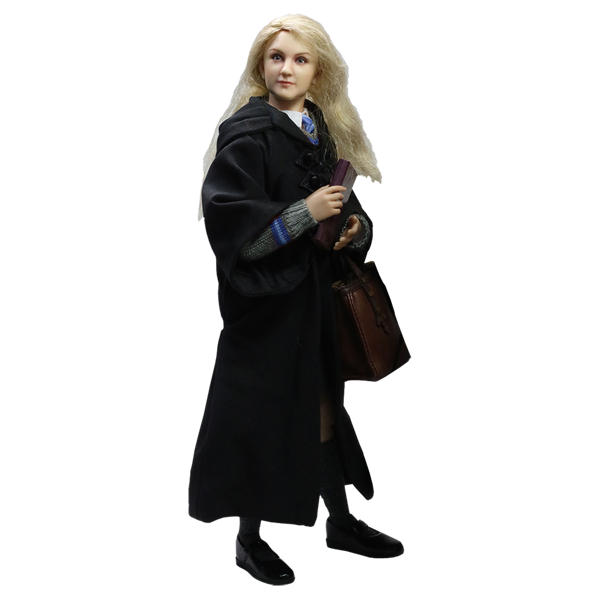 This figure features Luna during her fourth year at Hogwarts School. She comes with both her Ravenclaw Hogwarts robes and her muggle clothes, as well as her signature Spectre Specs and copies of The Quibbler. 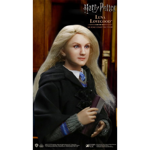 Add her to your collection today. 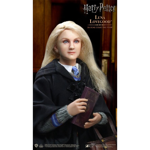 Authentic and detailed fully realized likeness of Luna Lovegood in the Harry Potter film "Harry Potter and the Order of the Phoenix"